There are points in time where everyone needs to step back and take a deep breath. The usual advice given to those in bad relationships, for example, is to step back and look at the situation from a different perspective. When people are too deep in any given situation, they can experience tunnel vision, and actually be blind to what others may see as obvious deficiencies in character or behavior. 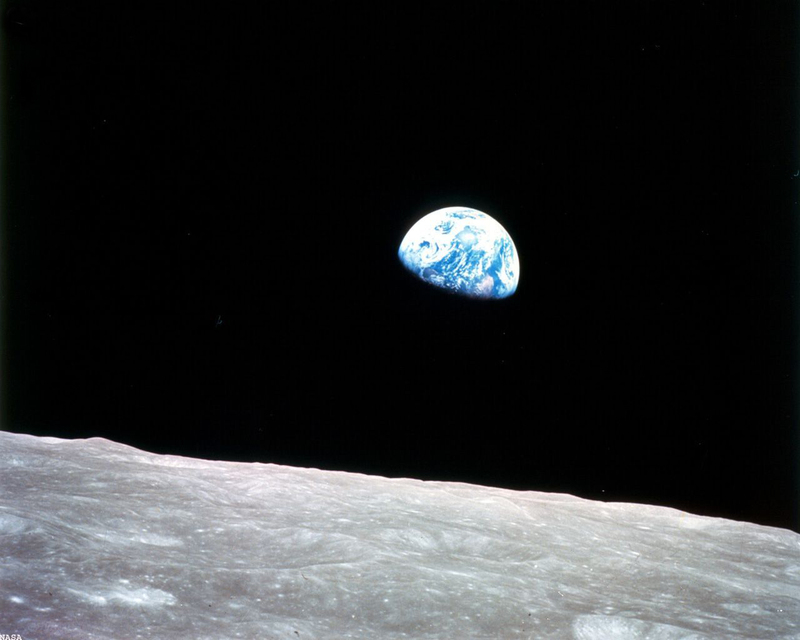 Given the degraded state of civility and endless political bickering that is evident in society today, I think we all need an Earthrise moment for today. People seem to be tearing down instead of improving or working together. A quick study of the year 1968 shows many examples of the country in turmoil. Robert Kennedy and Martin Luther King, Jr. were assassinated, Vietnam was showing no signs of slowing down, and the Cold War was in full effect. In the midst of everything, the manned space program was building up momentum. A shining light in an otherwise dreary, bleak year. With the successful completion of the Apollo 7 mission, the first manned flight since the tragic Apollo 1 fire, NASA made the bold decision to send the next mission to the moon. While emerging from the dark side of the moon, on December 24, the crew of the Apollo 8 spacecraft caught sight of the earth, rising above the surface of the moon. The sight of our beloved planet rising over the horizon prompted astronaut Bill Anders to capture the moment in a color photograph. This “Earthrise” photo is considered among the most famous photographs. Personally I feel this is the single most important photo taken. 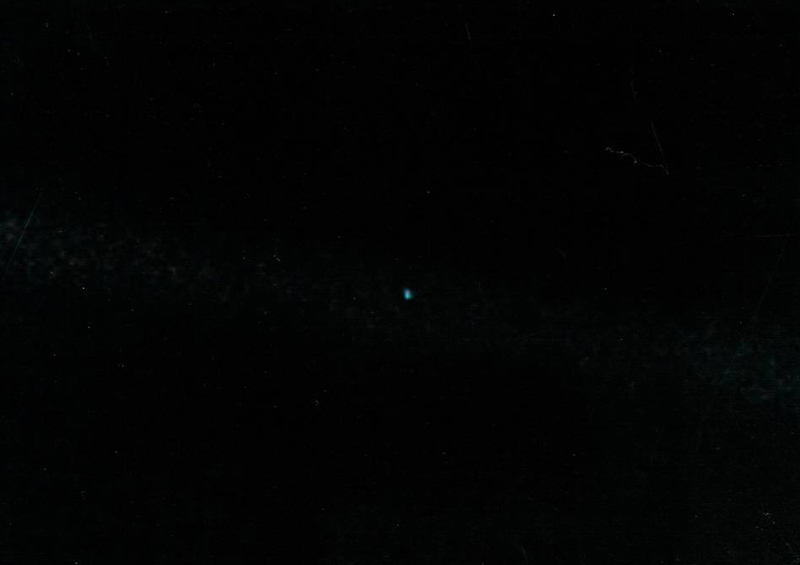 Not only do we see the earth as it is, but for the first time, it was seen from a truly different perspective. Later photos taken during the Voyager missions, and more recent spacecraft into the outer solar system, all tell me the same thing. We are all in the same boat together. Our planet is making a treacherous journey through the cosmos. It is delicate and beautiful. Things are just right and in balance. We have a shockingly thin ozone layer, and a magnetic field that other terrestrial planets do not have keeps the deadly solar winds off the planet. Without these, it would be a sterile landscape. We have no fallback option. When looking at this photo and others like it, I do not see political boundaries, or nations. I see no blue or red states. I see a home for everyone and everything. Sometimes we all need some perspective. Sometimes we need to pull our heads out of the sand and take a look around. Things are happening around that will impact everyone. Businesses taking advantage of the land in the name of profit, wars fought for greed and power, or people simply not caring are taking a toll. Looking at the earth rising above the moon in this photo makes me look at the whole picture. While it’s good to focus on micro level areas of life, we all need to keep our eyes also looking towards the macro. Keeping an eye towards the future is something we all need to do. Sometimes it may hurt a little, but the right thing to do is not always the easiest. Maybe I am naïve. Maybe my hope for a better future is grounded in fantasy. Call me a tree hugger, or some other stereotype like people are prone to these days. Call me what you will, I really don’t care. I lament the future we are creating for our descendants. Will they look on us, and our inactions, equally to how we look at those who persecuted the Native Americans as savages or how people persecuted witches in Salem? Ignorance can never be an excuse. Everyone needs to have a little Earthrise now and then. Having a better perspective on things is always good. It’s good to be nationalistic, to have a love of country no matter where you’re from, but we need to see the whole, and not push forward at the expense of others. Behold the beauty of our home. Not just yours and mine, but the home for everyone. This is the home for those who have everything, and it’s also the home for those who have nothing. This is the home of all past ancestors and future descendants. We are the caretakers for the short time we are here. Instead of trying to dominate and control it, we should be more respectful. Instead of trying to control others, countries and people should seek a means for coexisting. As we continue our journey through the cosmos, we are all in this together. I think it’s time we started taking more care of it instead of degrading it to meaningless political rabble. Take a few moments and behold the beauty of “Earthrise”. I certainly will.